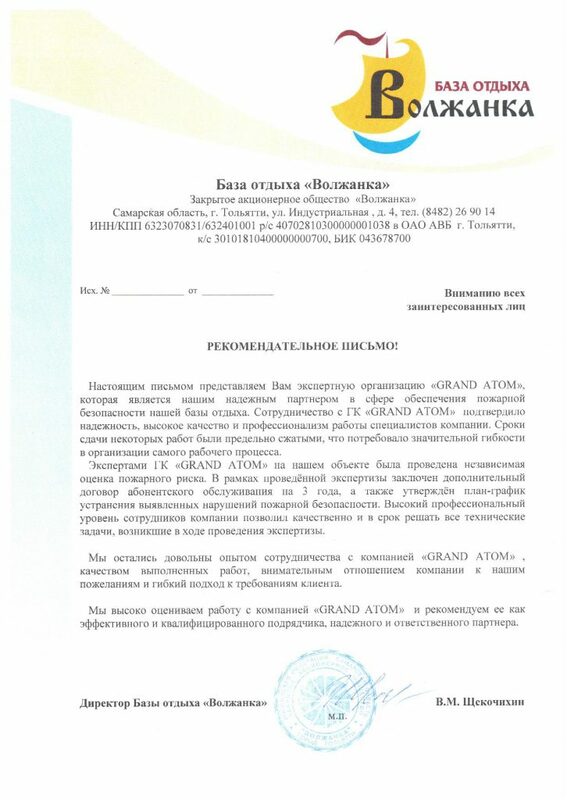 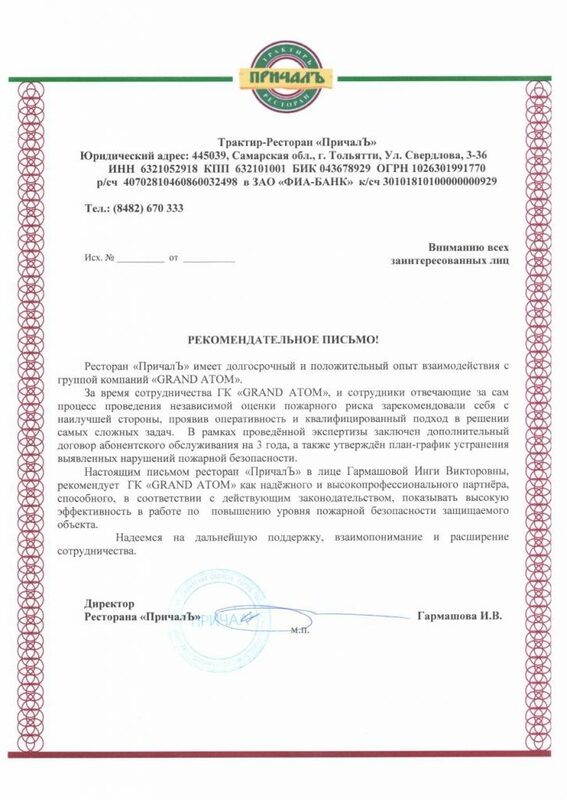 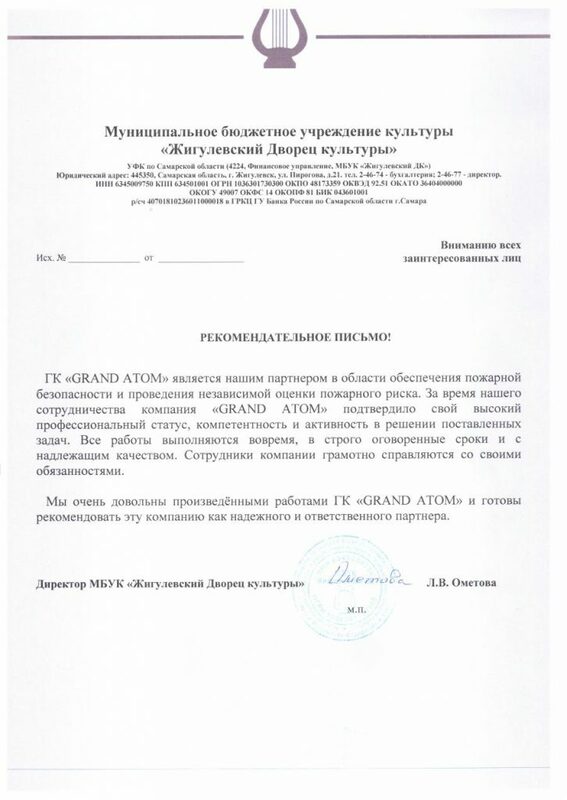 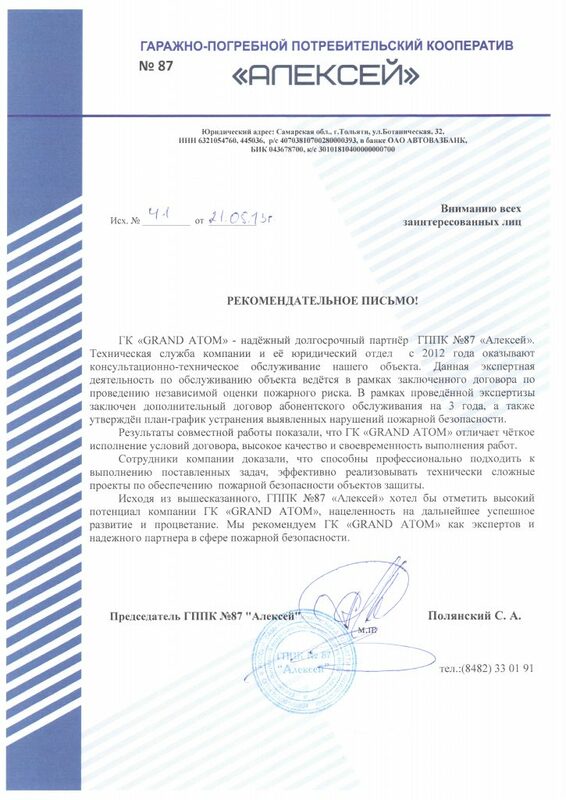 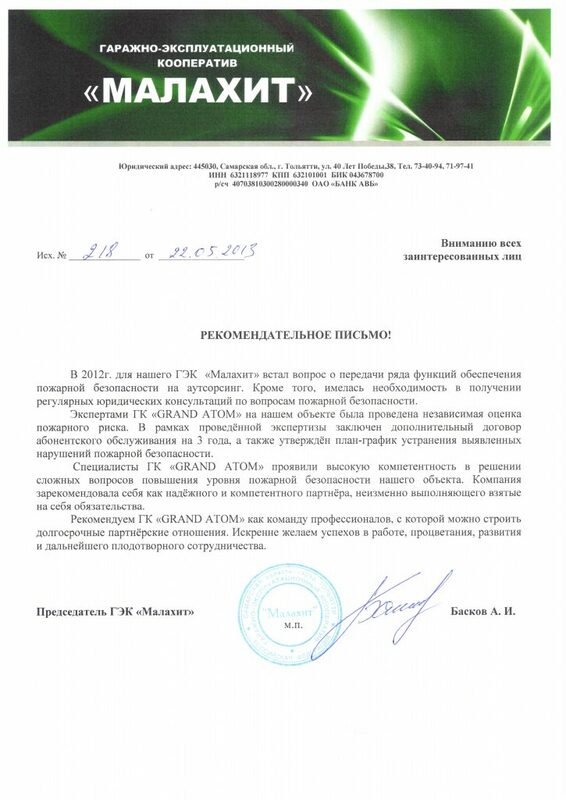 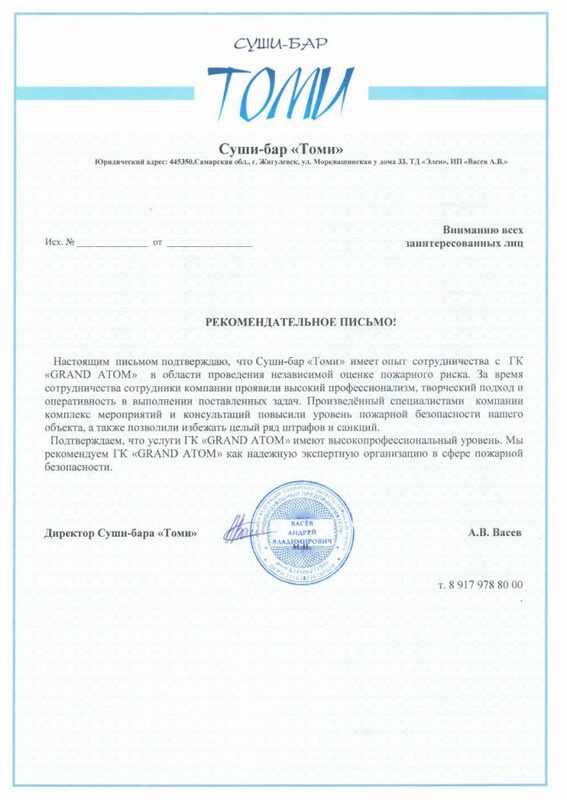 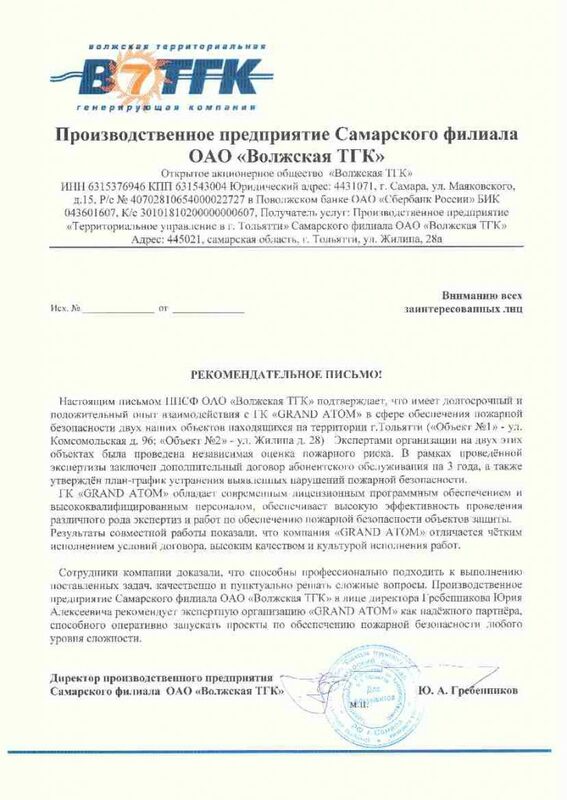 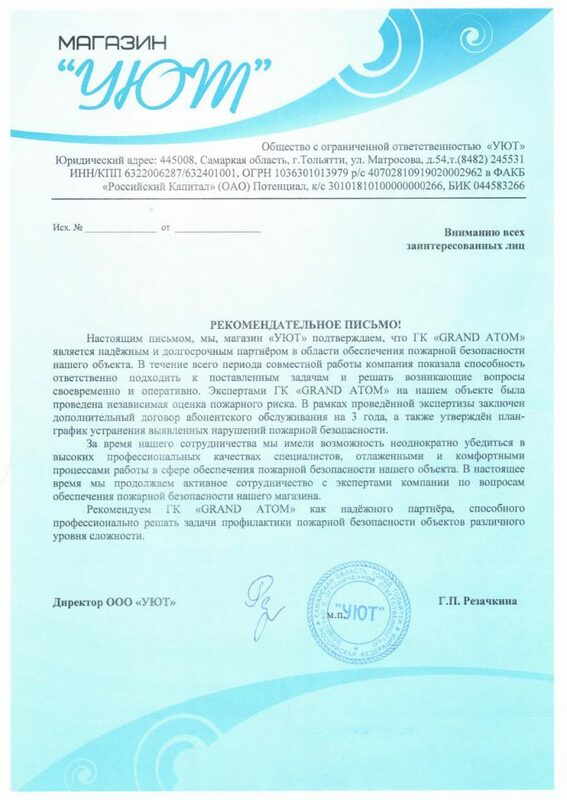 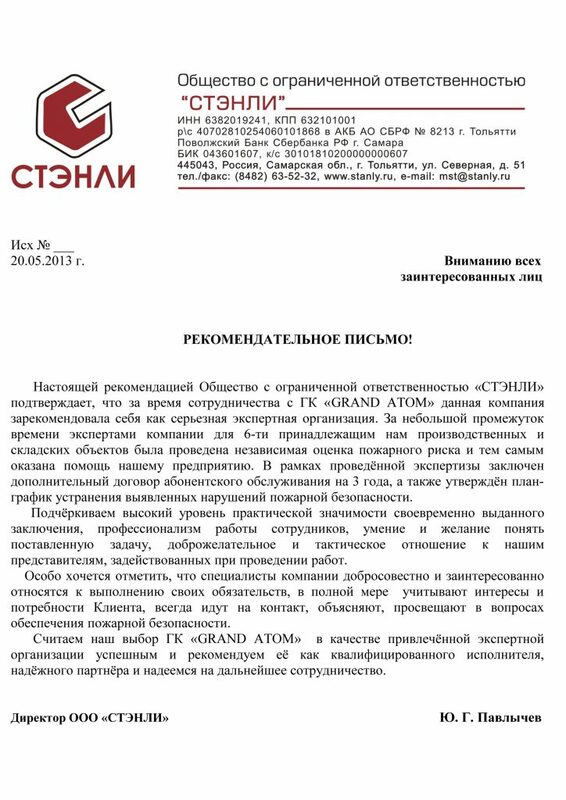 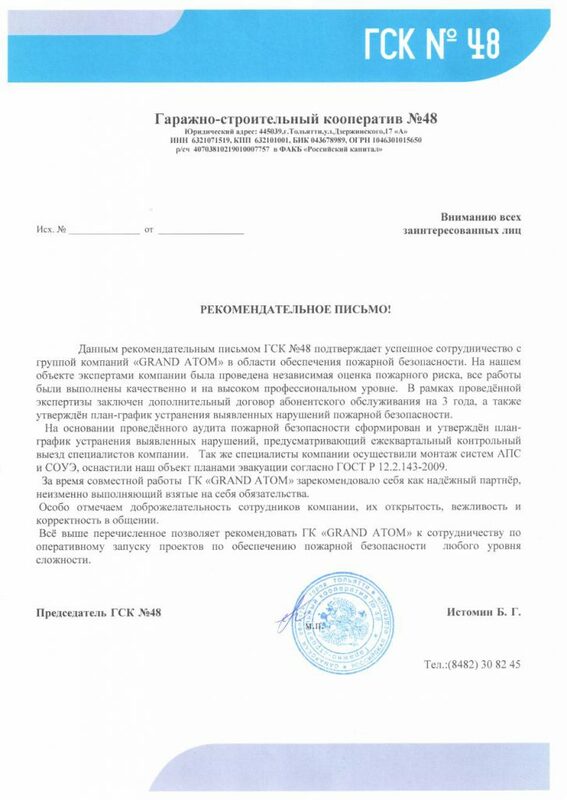 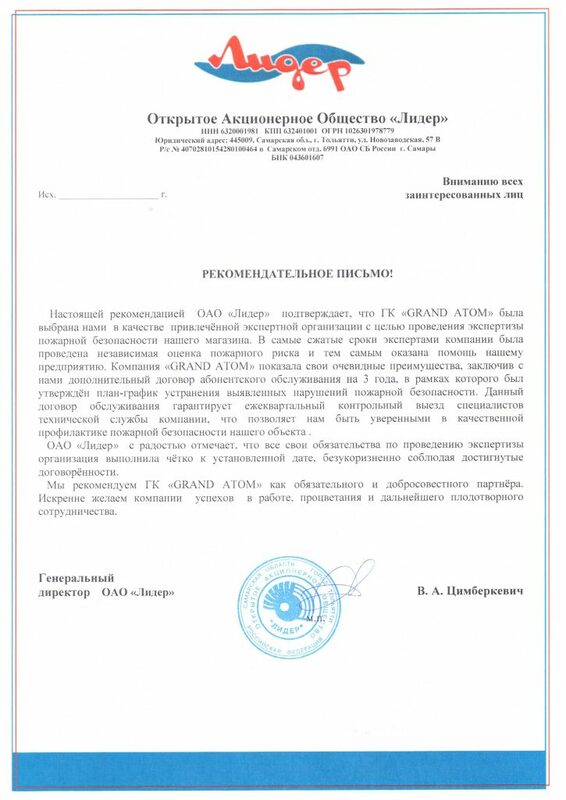 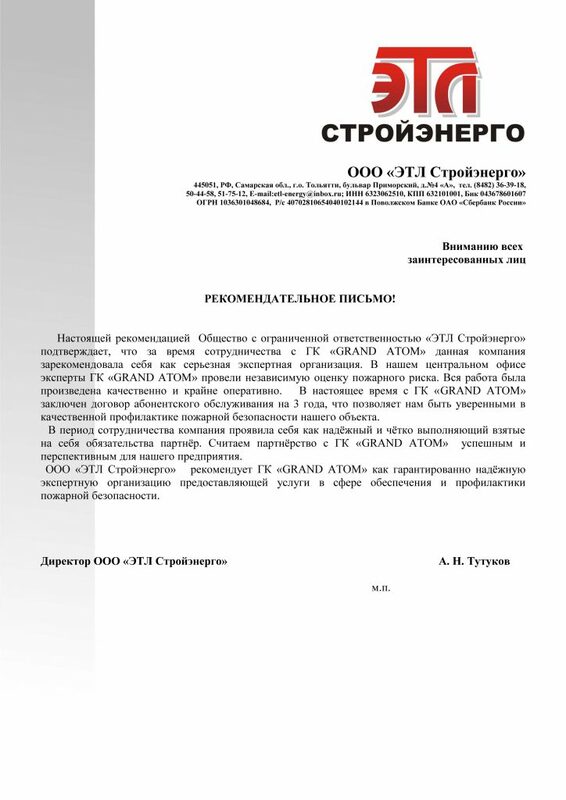 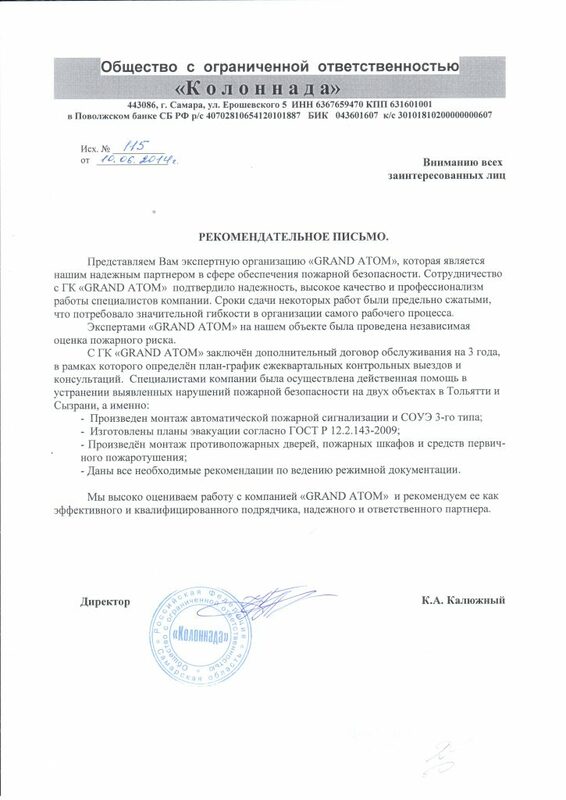 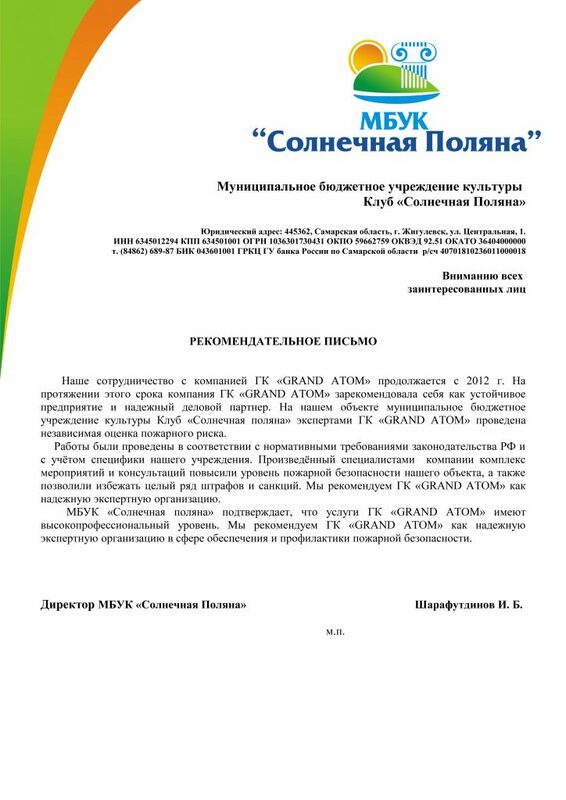 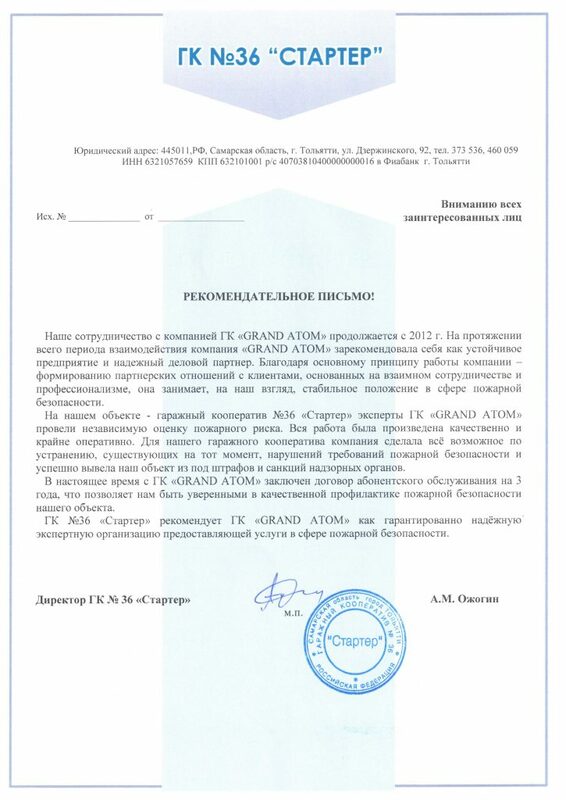 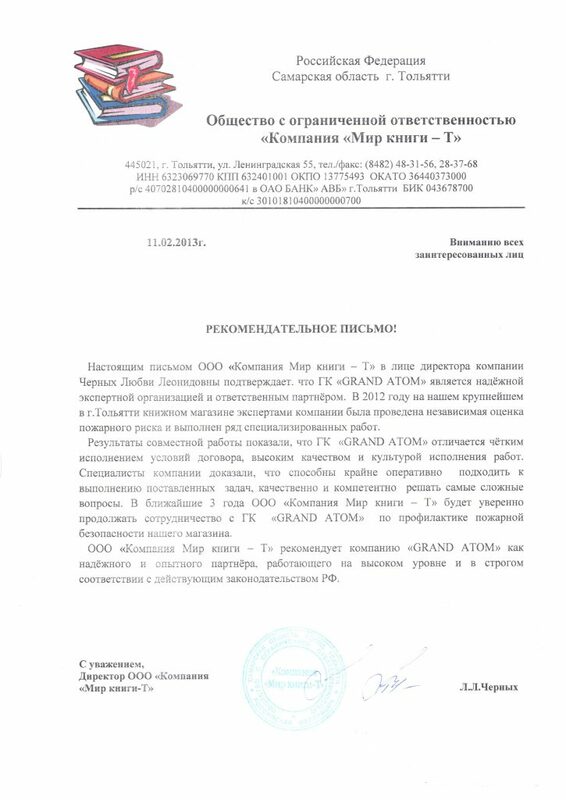 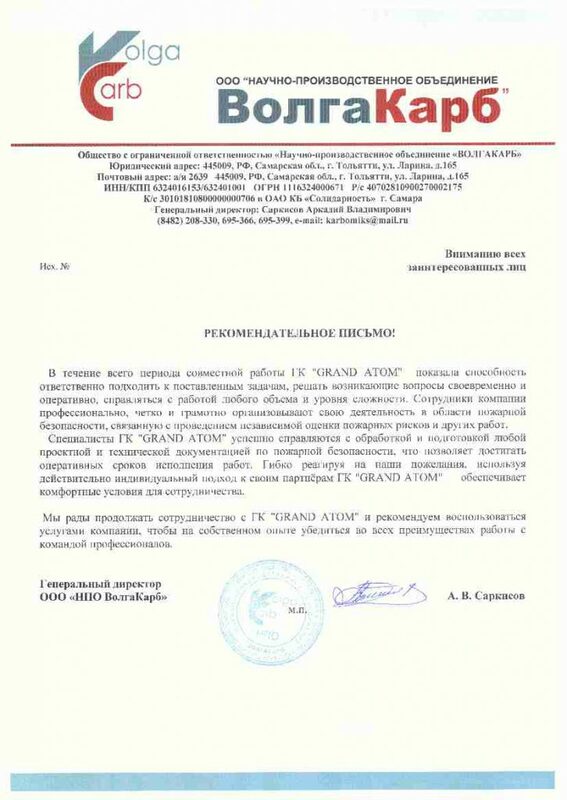 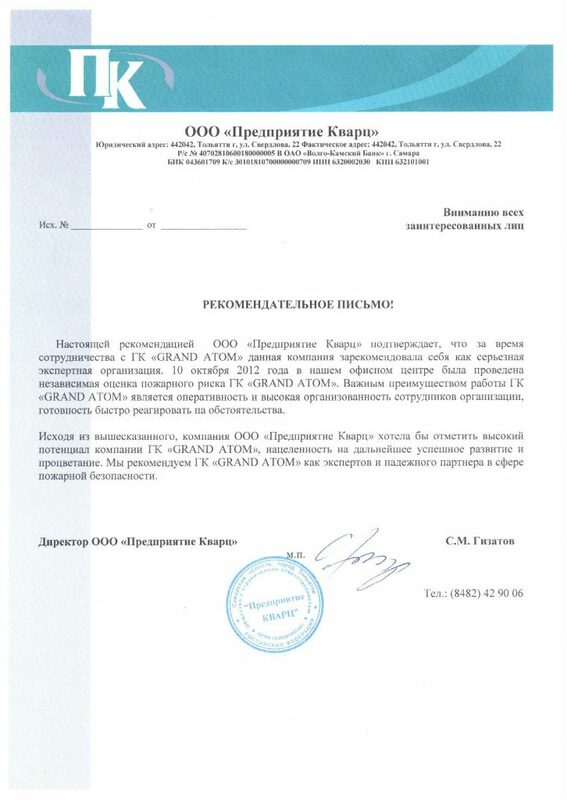 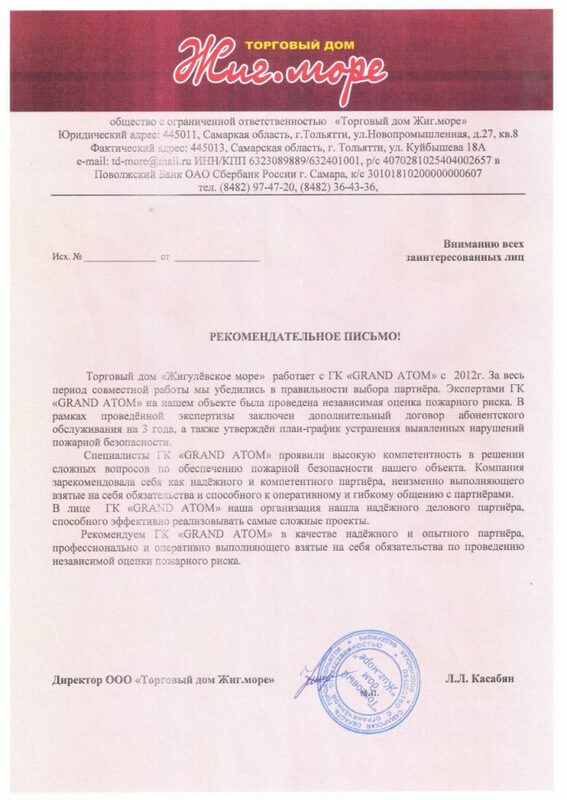 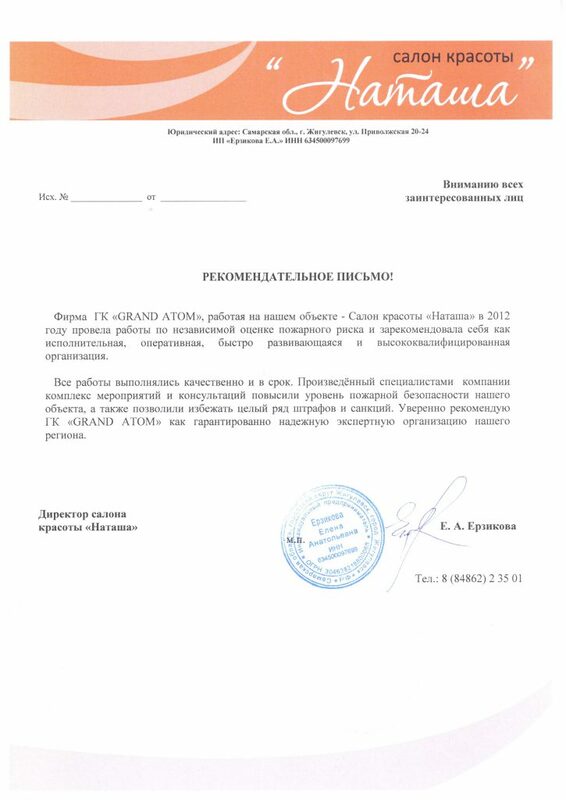 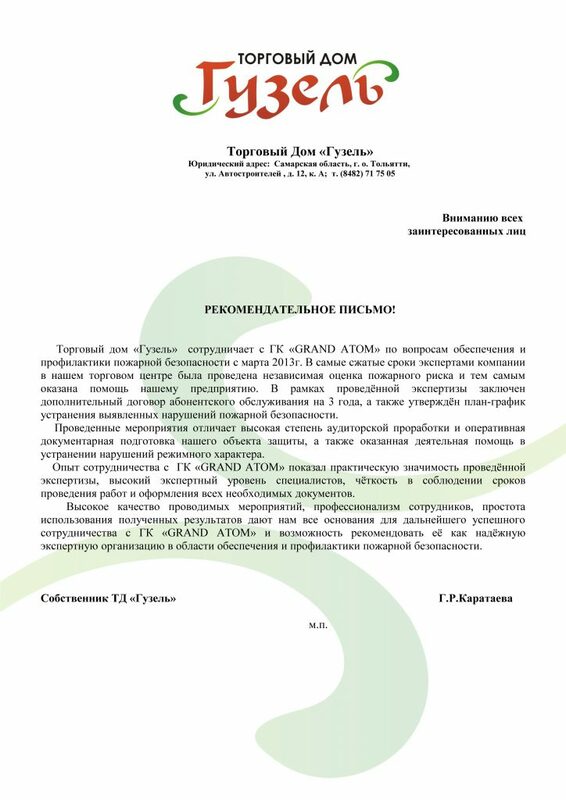 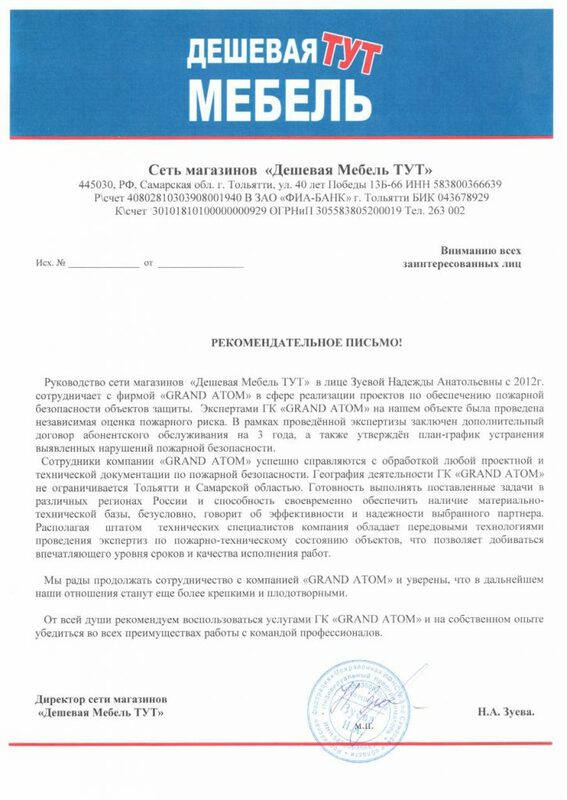 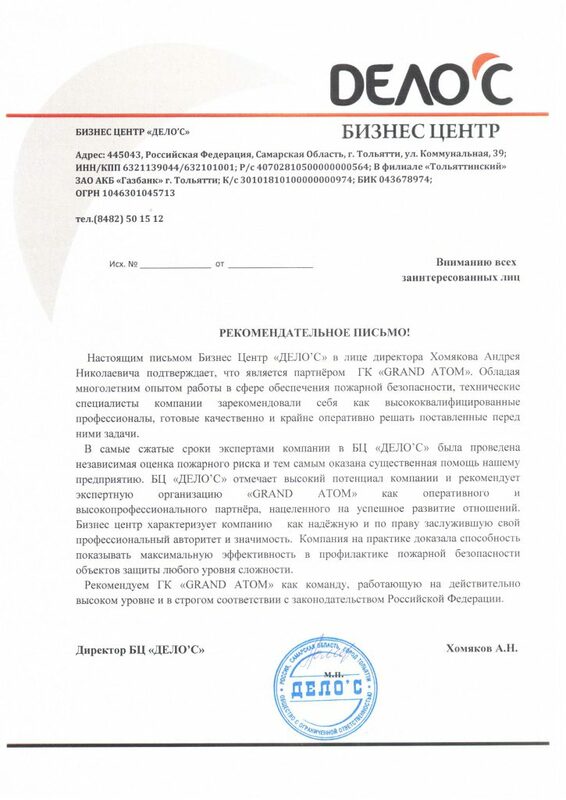 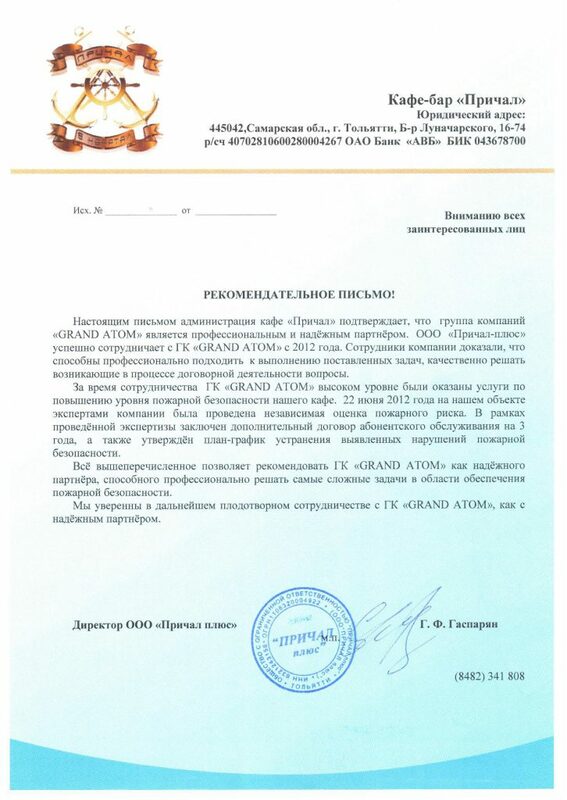 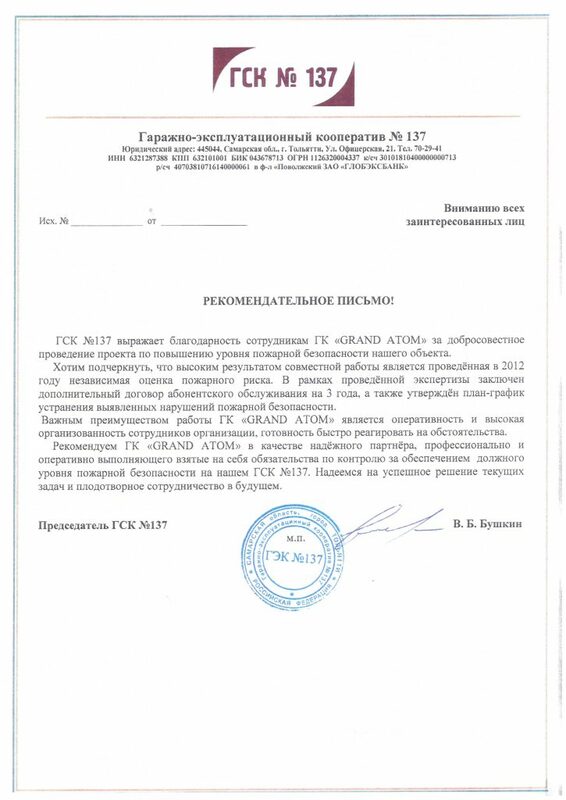 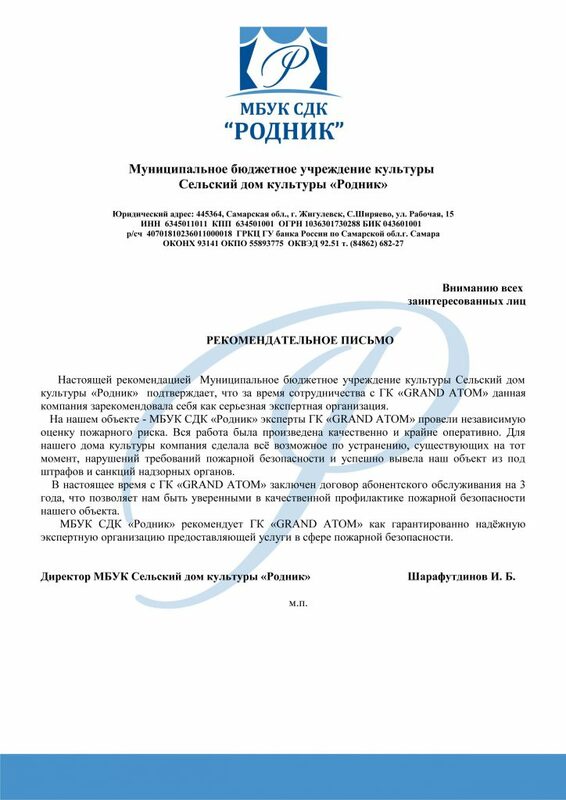 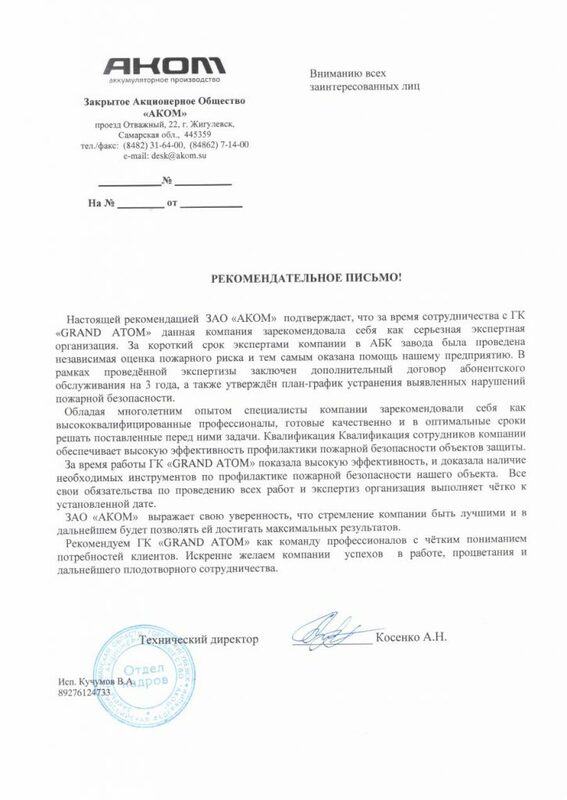 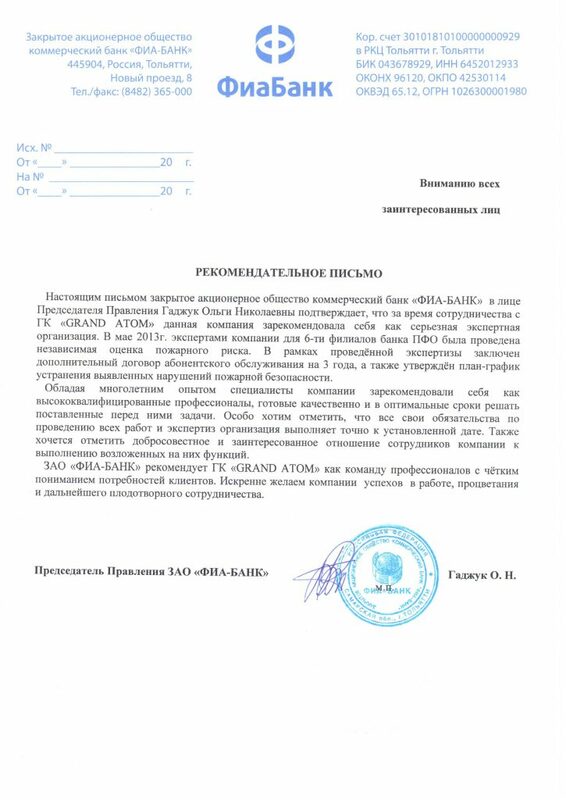 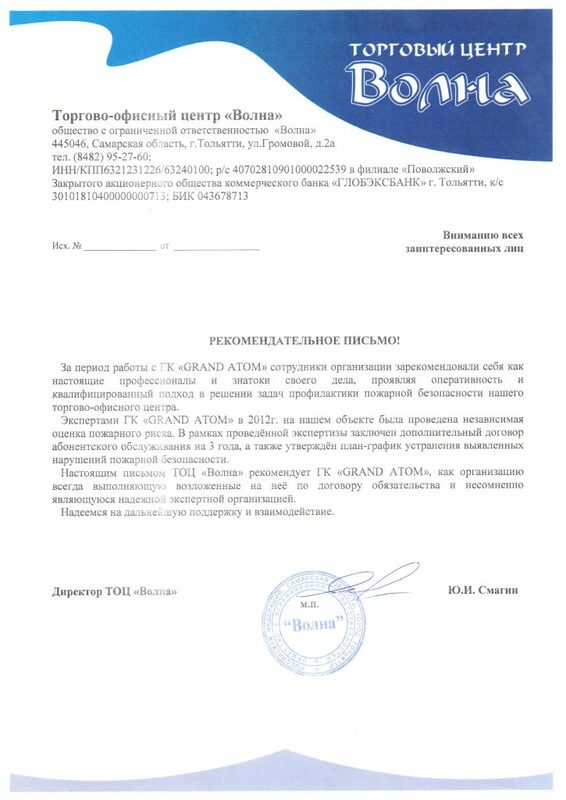 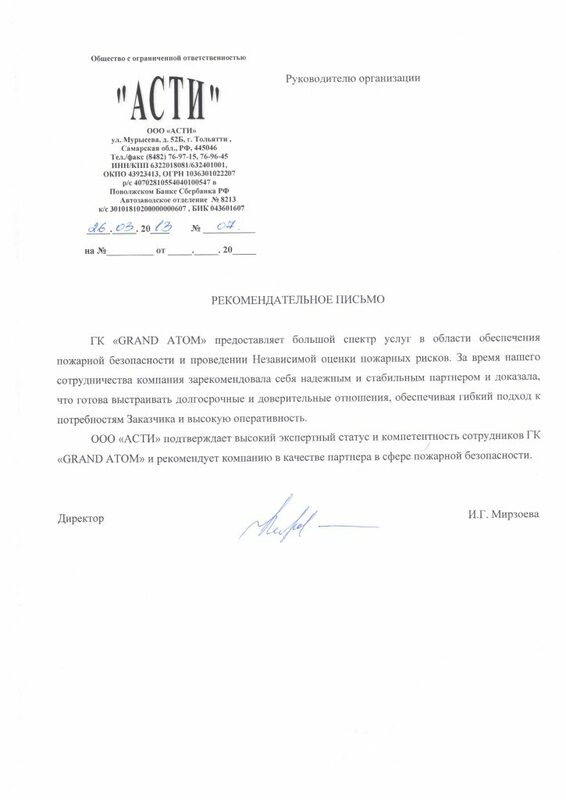 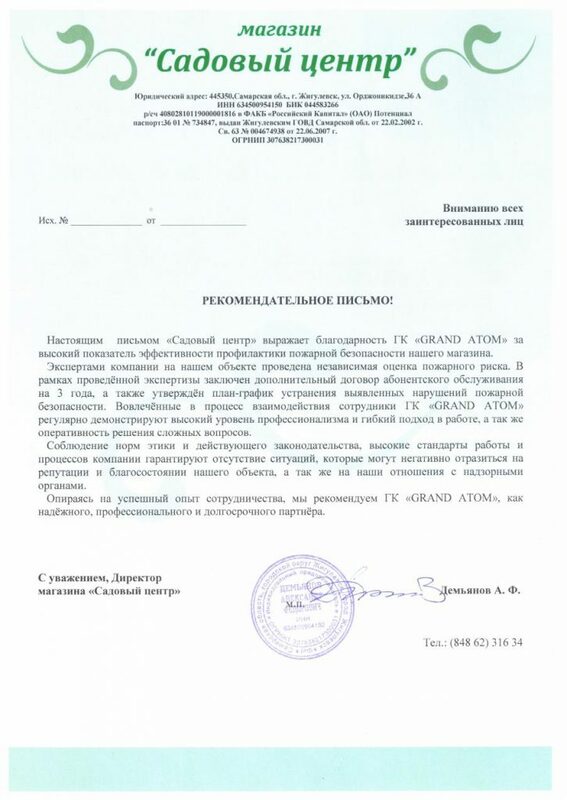 «GRAND ATOM» is one of the leading Russian specialized organizations providing services in the field of fire safety and installation of engineering systems. 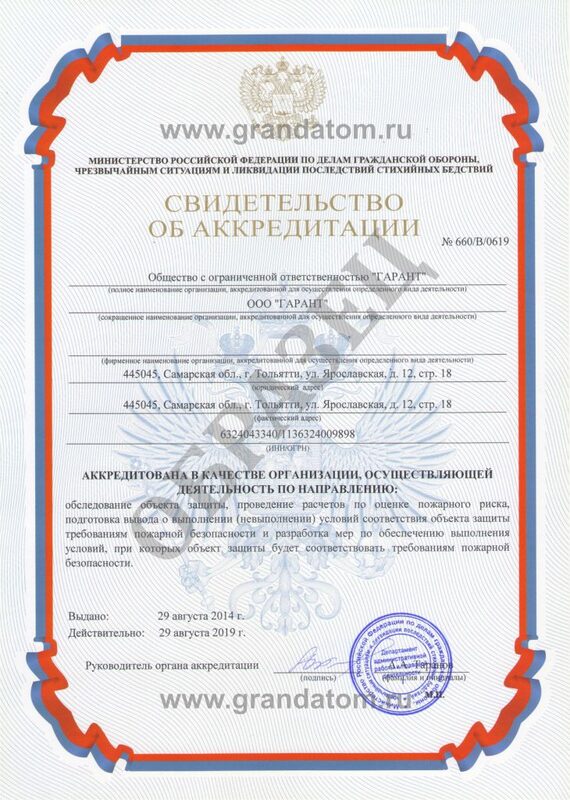 Our company has successfully implemented special projects not only for the major Russian federal organizations, but also for global foreign corporations. 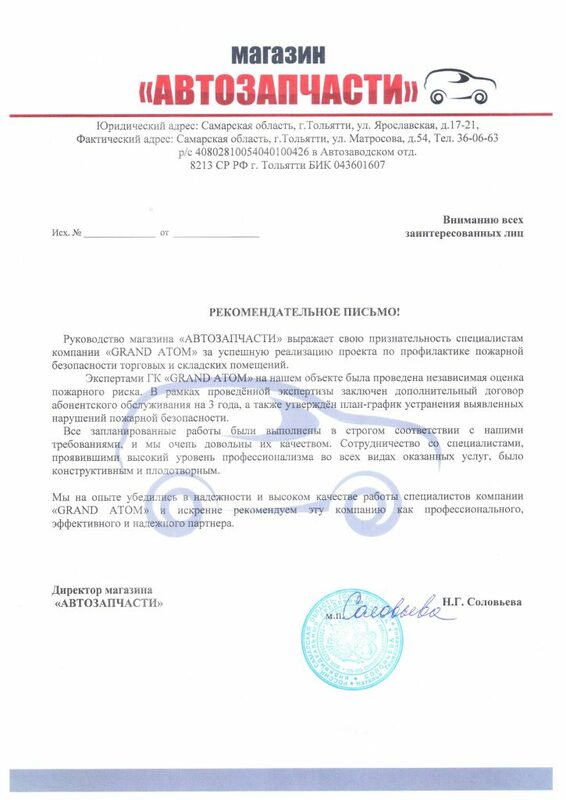 The company has all the necessary licenses, accreditations and certificates. 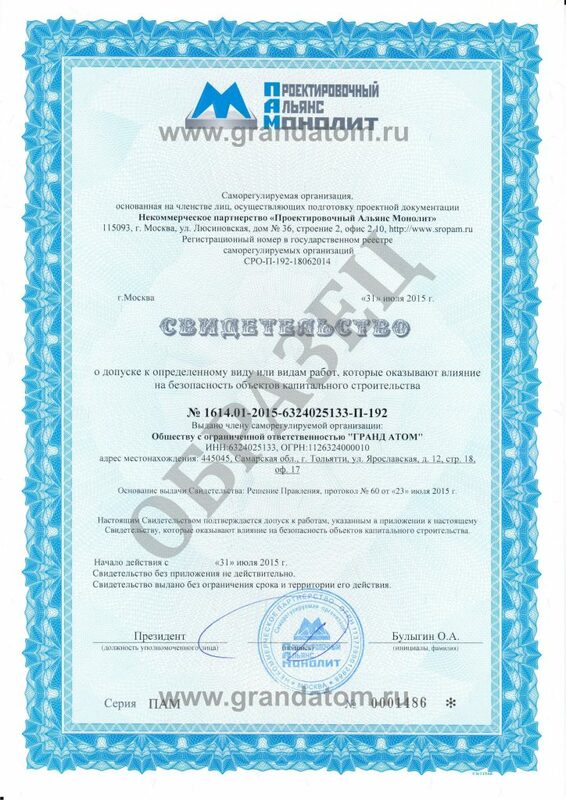 All used in measuring and testing equipment is factory certificates. 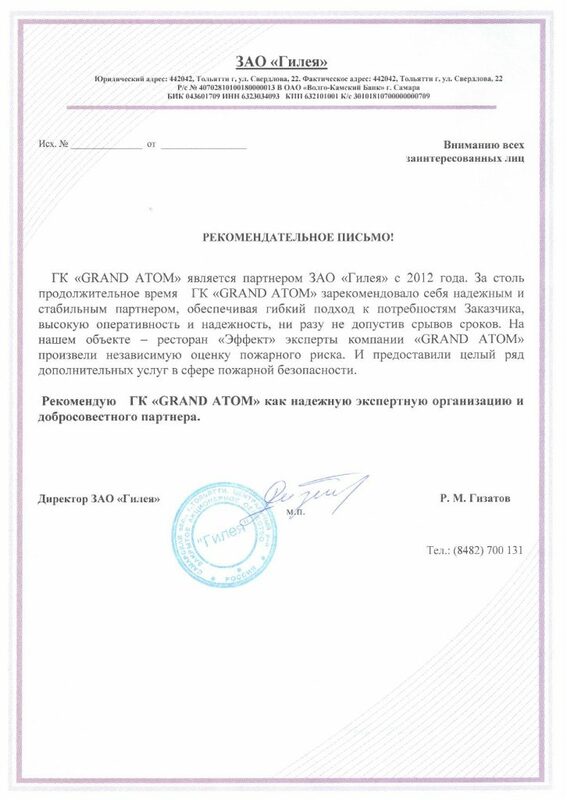 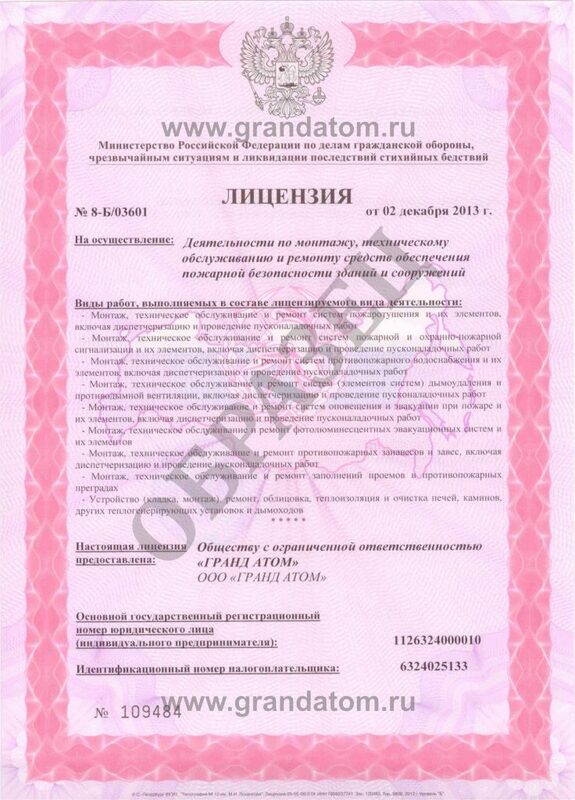 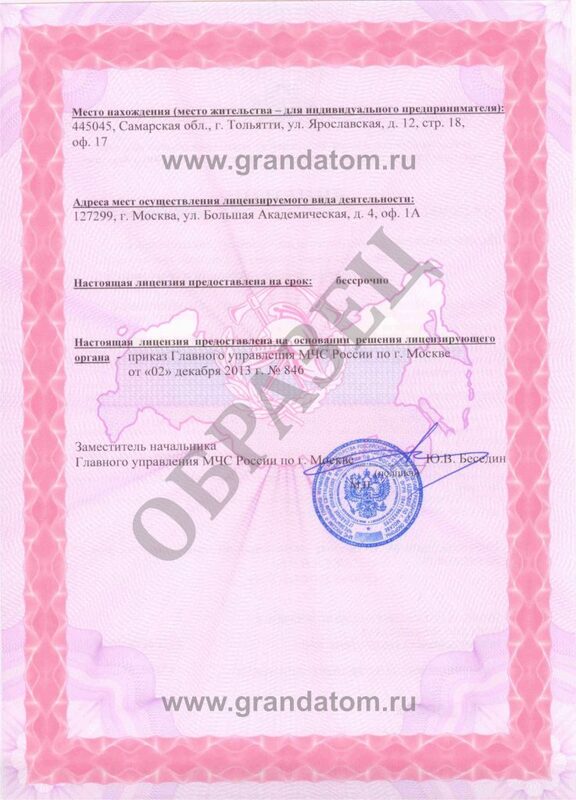 «GRAND ATOM» The company guarantees the quality and reliability of services rendered and products offered. 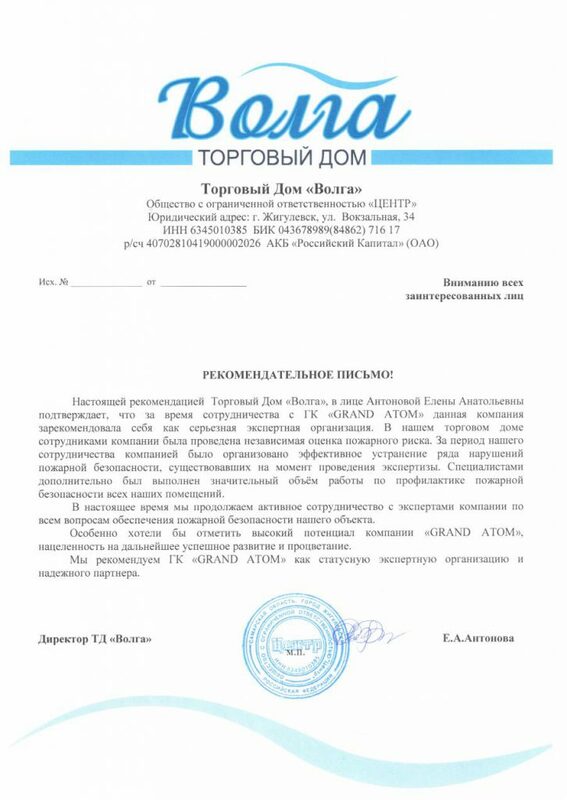 Inviting us as an expert, you can always be sure that the premises and facilities of your company will be well-protected from all possible factors of fire. 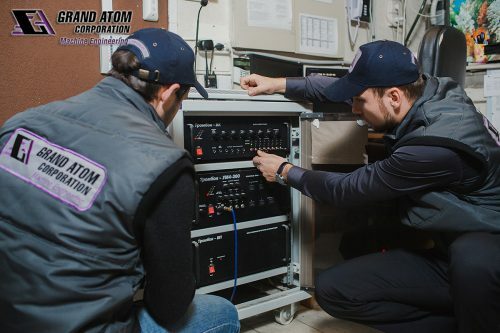 Trusting us, routine maintenance of engineering systems and security systems you delegate effectively ensure planned operational characteristics of the object throughout the entire service life.